Pretty in Pink on National Chocolate Cupcake Day! We are coming out in Pink...and Dark Chocolate to recognize and support Breast Cancer Awareness Month! 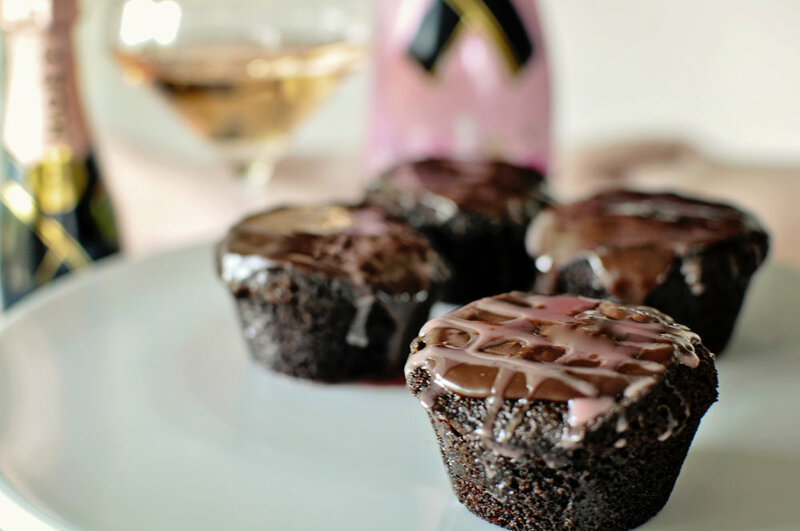 I don't know of any better combination than Chocolate and Pink Champagne! These Chocolate Ganache Cupcakes are the bomb! So rich and velvety, and for an extra special touch for Breast Cancer Awareness Month, I added a little Rose' Glaze for a touch of pink! Having a little dark chocolate craving? I've included a gluten free version! And you thought Rose' was only a summer beverage...Check out the Rose' All Day Wine and Music Festival in Dallas, October 29th! In support of Breast Cancer Awareness Month, the event will donate $1 from every ticket to the AIRS Alliance for reconstructive surgery. I say Rose' All Year!!! 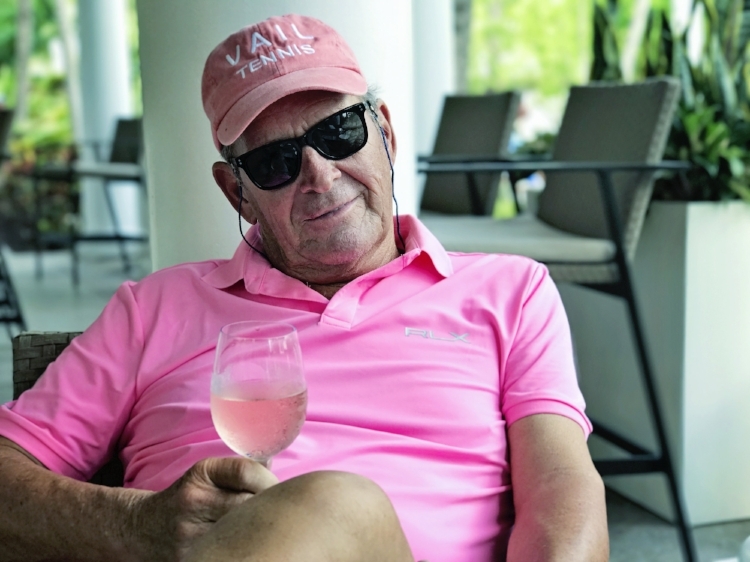 My Angel, Jeff, pretty in pink to honor Breast Cancer Awareness, enjoying @whisperingangel Rose' ... All he needs is one of my chocolate ganache cupcakes!